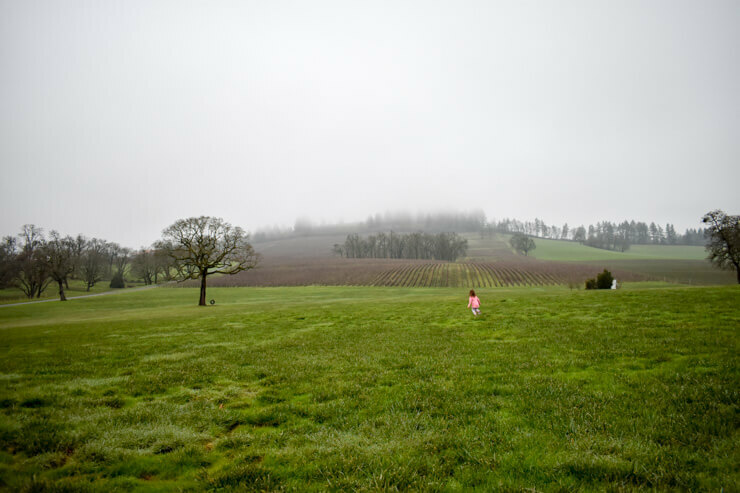 Willamette Valley is the mecca of Oregon’s burgeoning wine country. 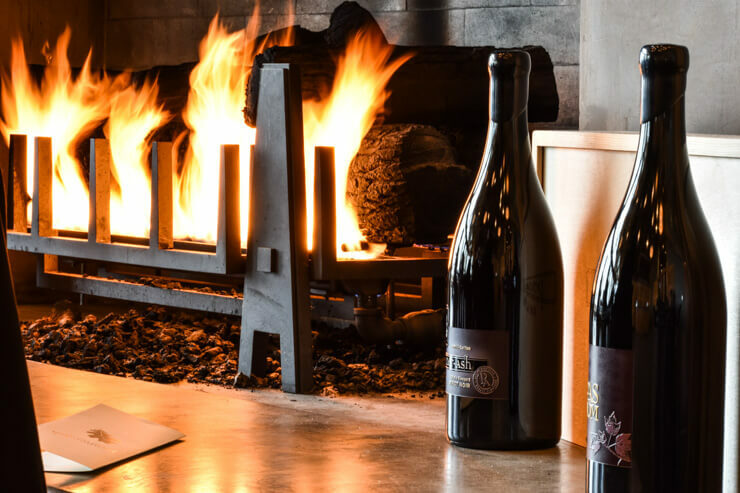 Known nearly exclusively for its fruity, acidic Pinot Noir, the area has quickly been making a name for itself due to its high quality of wine and gorgeous Pacific Northwest scenery. When visiting Willamette Valley, there are many charming small towns you can use as your homebase, one of which is McMinnville, Oregon. 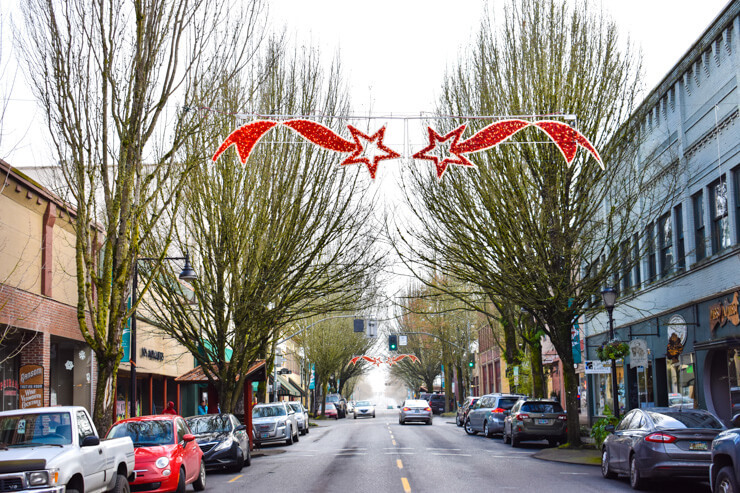 McMinnville won Sunset Magazine’s Most Beautiful Main Street award last year and it’s easy to see why. A long boulevard framed by parallel rows of trees stretching across the street and mingling their branches is made even more enticing by the historic buildings standing stately behind the tall trunks. Those buildings house tasting rooms, restaurants, rooftop bars, high-end accommodations, cafes, and shops. Along the adjacent streets are even more restaurants and wineries. 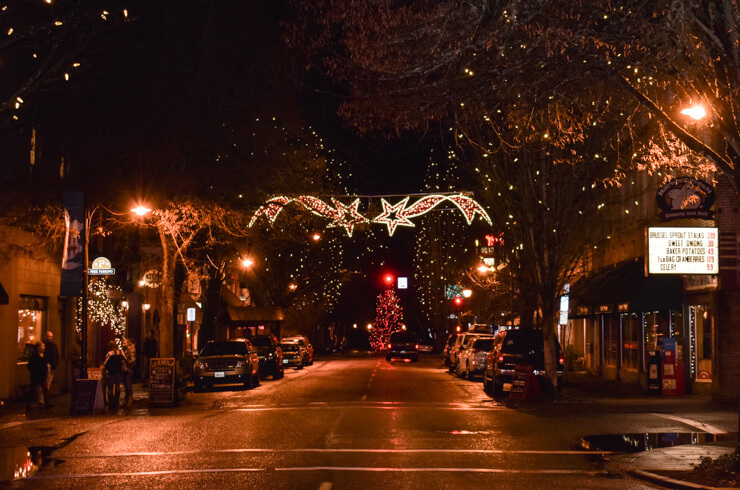 McMinnville is a close drive to some of the best attractions in Willamette Valley. If you’re short on time during your visit to this gorgeous part of the Pacific Northwest, you still have time to explore both in and around McMinnville. 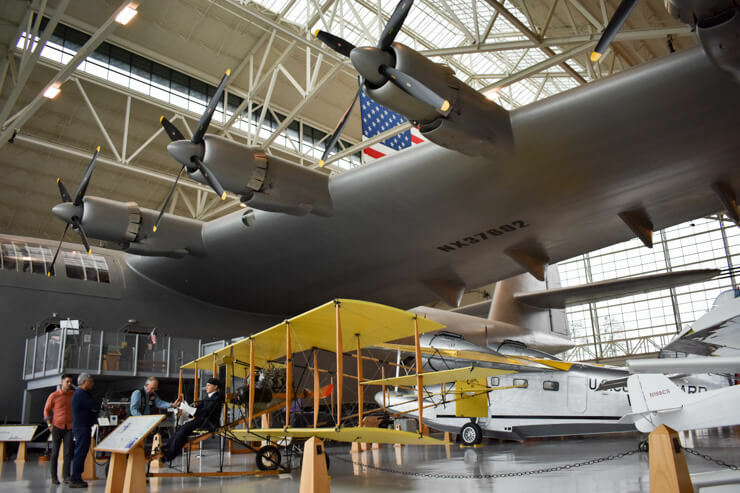 After spending several days in McMinnville recently I’ve put together how to spend one perfect day there with a good dose of wine and cuisine plus some airplanes (yes, airplanes) and nature thrown in. 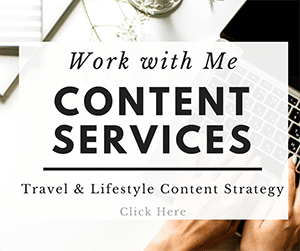 Quick side note: This post contains affiliate links, which help me to cover the costs of running this site. Thanks for supporting One Day in a City! 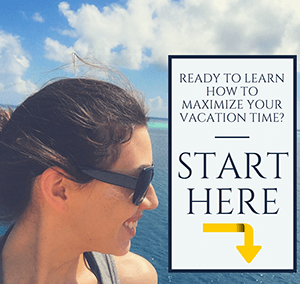 First, where should you stay? 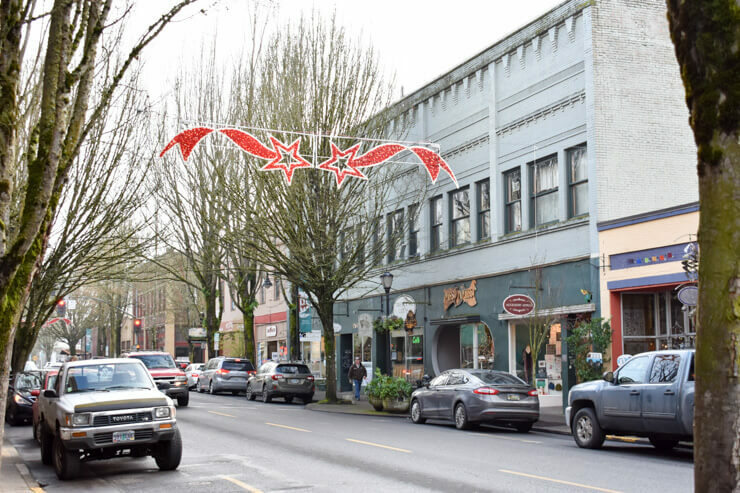 I recommend staying as close to McMinnville’s main street (3rd Street) as you can, preferably right on it. The living room in our apartment at 3rd Street Flats. I stayed at 3rd Street Flats and loved it. It’s located right on Main Street in a building dating back to the early 1900s. The apartments still reflect elements from this era, especially the massive ceilings, but they’ve been updated with modern amenities and décor that switches between eclectic and country chic depending what apartment you’re in. Ours had green walls and a pink chandelier which I was a bit obsessed with. 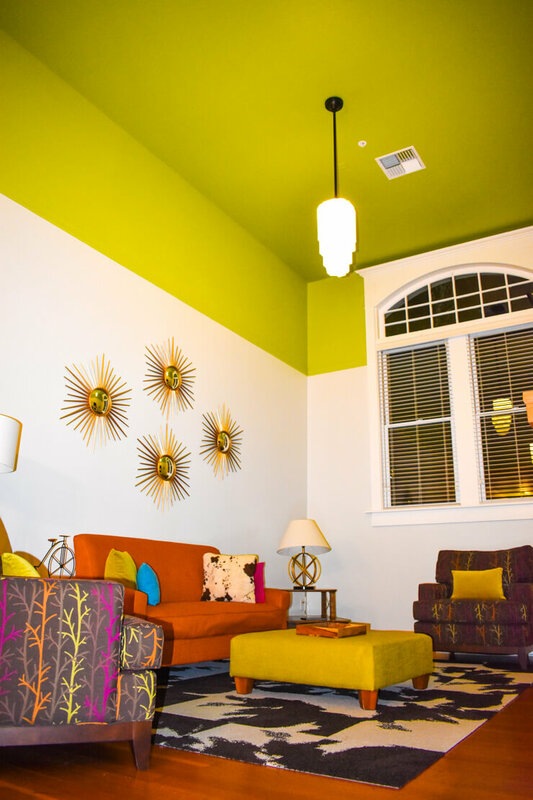 Each apartment in 3rd Street Flats is different and varies from one or two bedrooms, all with fully equipped kitchens, fireplaces, and laundry machines, plus toiletries in the bathrooms. Click here for more pictures and prices for 3rd Street Flats. Another option is McMenamins Hotel Oregon. McMenamins is famous in the Pacific Northwest and has several properties all over Washington and Oregon. McMinnville’s main street is home to the historic McMenamins Hotel Oregon and bar, whose building dates back to 1905. The rooms have neat features like the original porcelain sinks and designs etched onto the wall. You also have easy access to its rooftop bar or the whiskey lounge and restaurant downstairs. Note when booking that some rooms a have shared bathroom so be sure to book one with an ensuite bath if that’s important to you. Click here for more pictures and prices for McMenamins Hotel Oregon. Alright, so you’ve figured out where to sleep, now where should you start your day when you wake up in McMinnville? How about with a farm to table breakfast? Community Plate is a bright and welcoming café with a lowkey hipster vibe (though let’s be honest, that isn’t that hard to find in Oregon). Community Plate stands out due to its large communal style wooden tables (plus some smaller ones) and a long bar where you can order your food and pour yourself a cup of coffee. 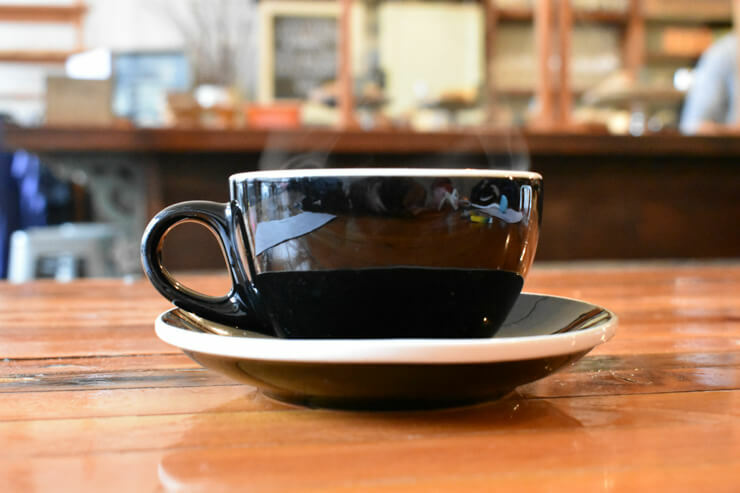 After you fill up on a hearty breakfast, refill your coffee to go and stroll down 3rd Street, which is McMinnville’s main street. 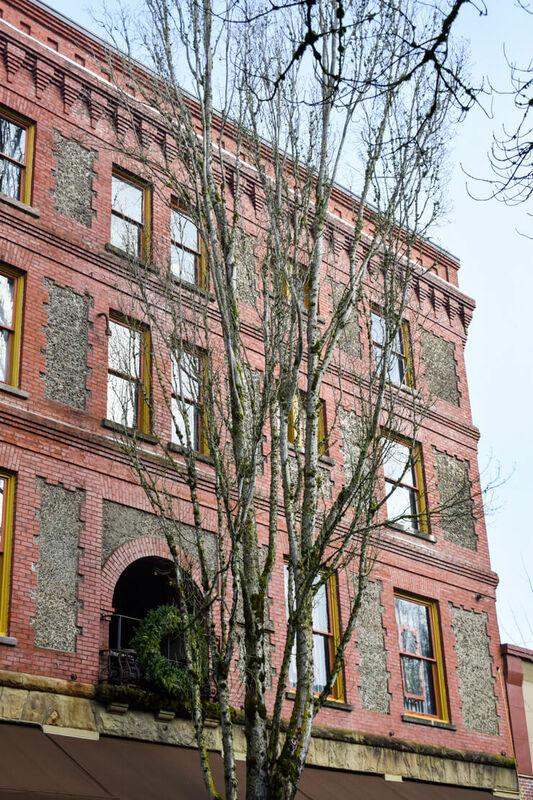 3rd Street in McMinnville is lined by historic buildings outfitted in brick façade and curvy windows. Street lamps and stately trees parade down each side of the street and when I was there at the end of December, twinkly lights were strewn across the streets from one treetop to another. Just about every storefront you pass will have you wanting to get inside, whether it’s to do a whiskey tasting in McMenamins tony lobby (or go up to their rooftop bar if it’s nice out), get ice cream at Serendipity, buy souvenirs or unique gifts at NW Food and Gifts, pop in for a tasting at one of the many wine tasting rooms, grab a yummy pastry or macaroon at Red Fox Bakery & Cafe, or browse books at Third Street Books. Some of these (ahem, the alcohol related ones) you may want to stop back at in the evening. 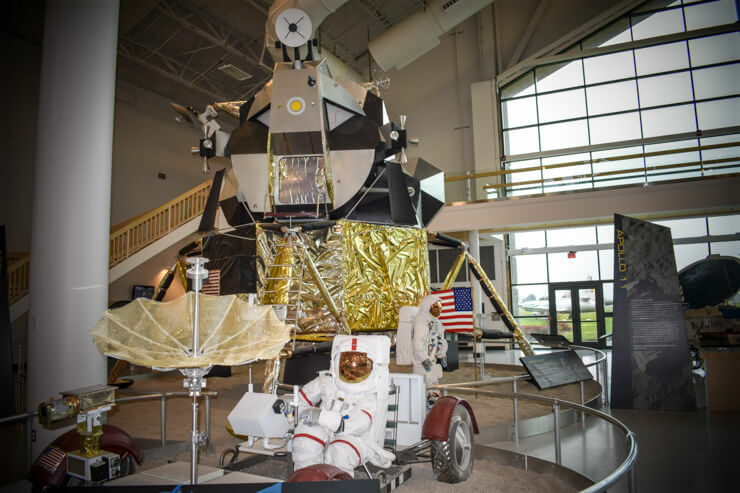 After you’ve meandered up and down main street, it’s time to hop in your car and head to the Evergreen Aviation and Space Museum, which is only about a 10-minute drive from downtown McMinnville. I actually thought this place was going to be kind of boring, but my husband was super excited to go, and I ended up being totally enthralled with it. 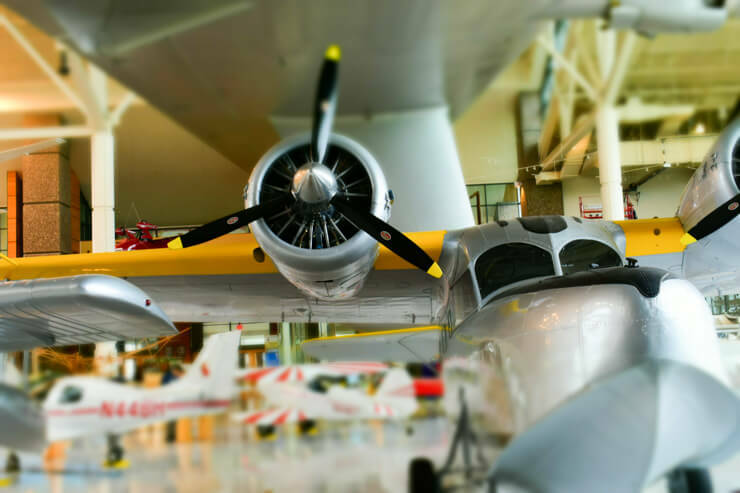 The museum has such cool planes! 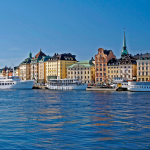 It’s a massive complex with a building devoted to air travel and a building devoted to space. In the middle of the two buildings is a theater, which has showings throughout the day about something to do with flight or space, but if you only have a day in McMinnville I recommend skipping this even though it’s included in the price of your ticket unless you’re a huge aviation buff. 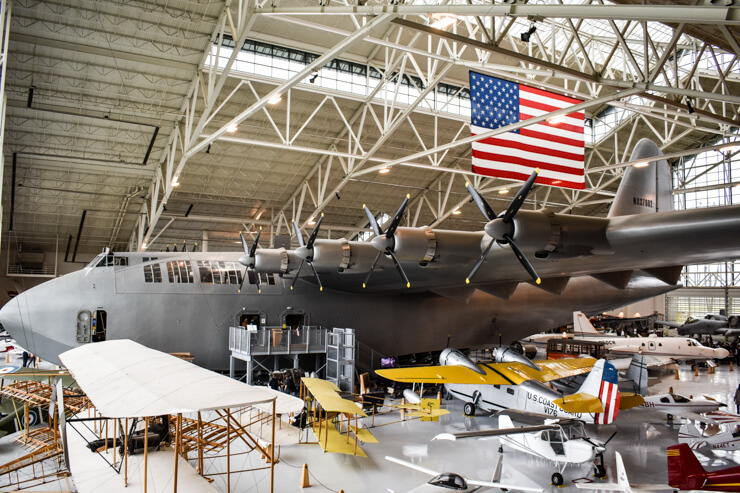 I vaguely remembered, but was still shocked at the sheer size of the Spruce Goose. I couldn’t comprehend how it ever got off the ground in the first place! Not only is it massively big, it also just looks so HEAVY. You can tour inside the plane, but my favorite part was really just staring at it from every angle while we walked around the museum and marveling at how gigantic it was. Our toddler daughter also had a blast at this place. 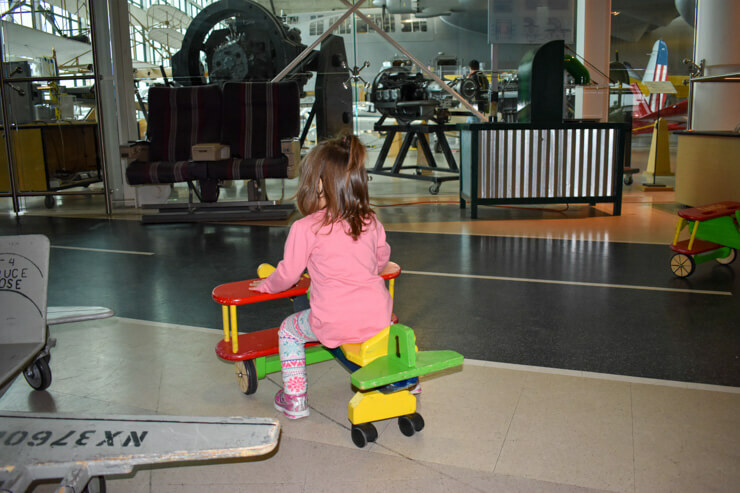 She was just starting to get into planes and there was also a section of the museum with hands-on activities for kids where I took her when she started getting a bit antsy just wandering around pointing at planes. Playing in the kid area at the museum. 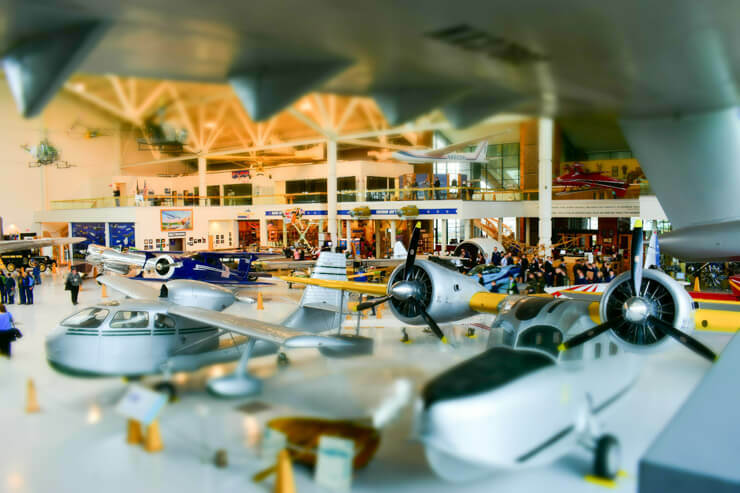 Evergreen Aviation and Space Museum is also home to a waterpark (random, I know, but it’s supposed to be cool and plane-themed), which was closed when we were there, but sounds like it would be a super fun way to spend some time if you have more than a day in McMinnville! 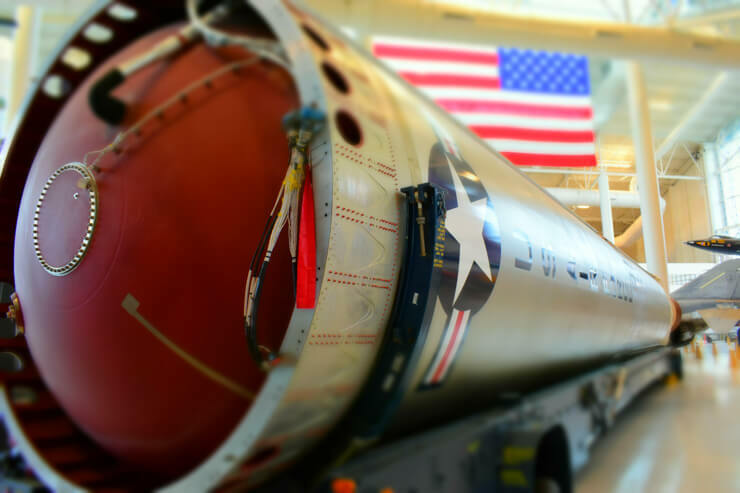 But if you do only have a day in McMinnville, I recommend just spending a couple hours at the Evergreen Aviation and Space Museum in the morning; though if you have extra time you could easily fill a few more hours walking around the museums and reading up on air and space travel! But if short on time you don’t want to spend too much time there and miss out on experiencing the main reason people tend to visit McMinnville: the wineries. 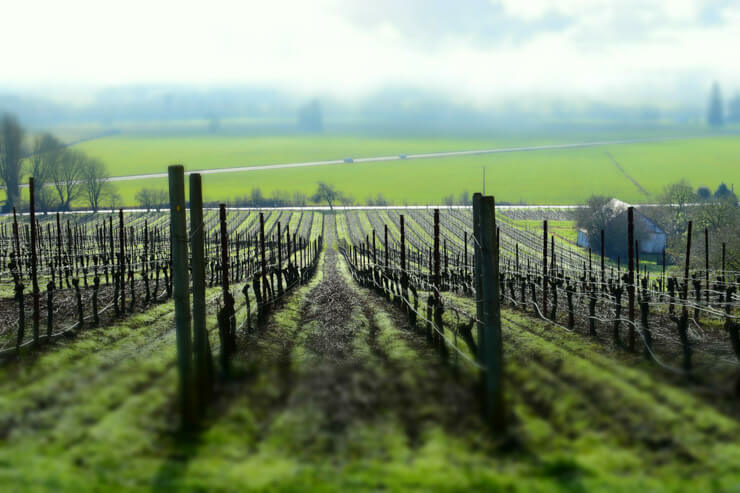 McMinnville is located in the heart of Willamette Valley, which is home to over 200 wineries. Willamette Valley is known for its Pinot Noir and a flight of Pinot Noir is pretty much all you’ll find on the tasting menu for most wineries there. Since most of my wine tasting up to this point has been in California and Washington, where you’ll find a variety of varietals on tasting menus and it’s not weird to try a cabernet, pinot, and syrah in the same flight, this definitely surprised me. 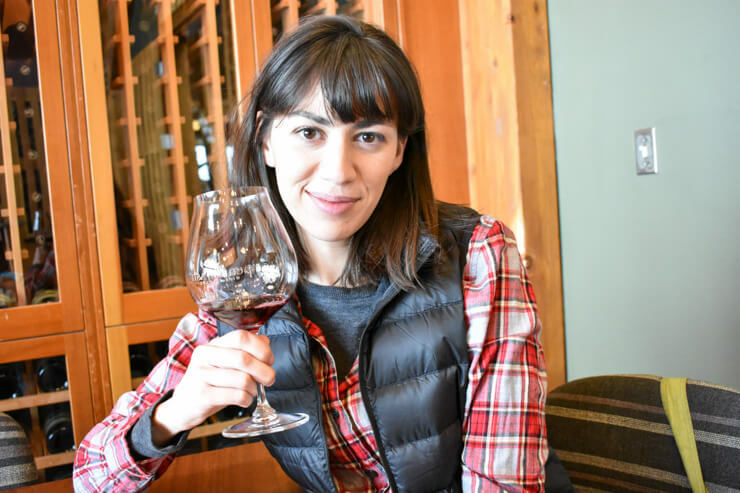 But it was a welcome surprise as Pinot Noir is one of my favorite types of wine – and there’s a good chance it will become one of yours, too, after wine tasting in Willamette Valley. Vineyards you can see from the Stoller tasting room. Stoller Family Estate has a upscale tasting room with floor to ceiling windows overlooking vast vineyards. Stoller actually has the largest contiguous vineyard in Oregon’s Dundee Hills. The wine is good and the tasting room also has a lawn and patio that is perfect for al fresco sipping or a picnic on a nice day. Penner-Ash seating area for wine tasting. 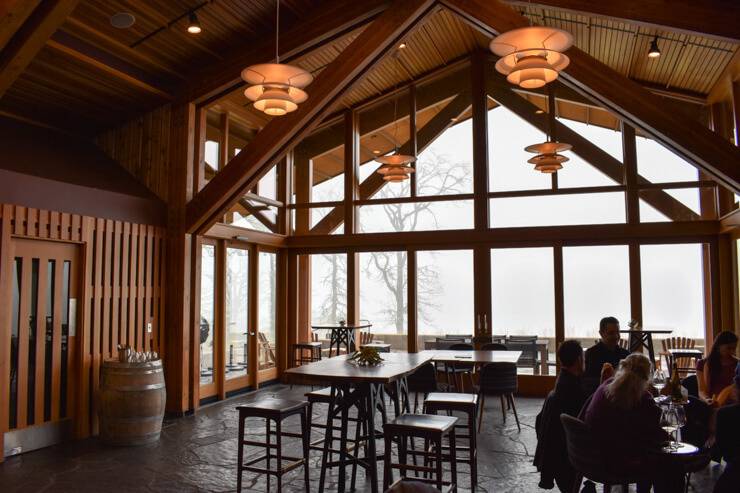 The view at this winery is supposed to be gorgeous and the tasting room certainly has the windows to highlight such a view. 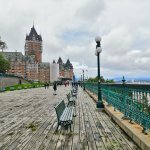 Unfortunately, it was extremely overcast when I was there to see that view. Luckily, though, the tasting room had a relaxing fireplace and excellent wines so I didn’t feel too sad about missing out on the view. Relaxing ambiance and wine at Penner-Ash. Remember to drink responsibly and have a designated driver! Or hire a limo to take you around. 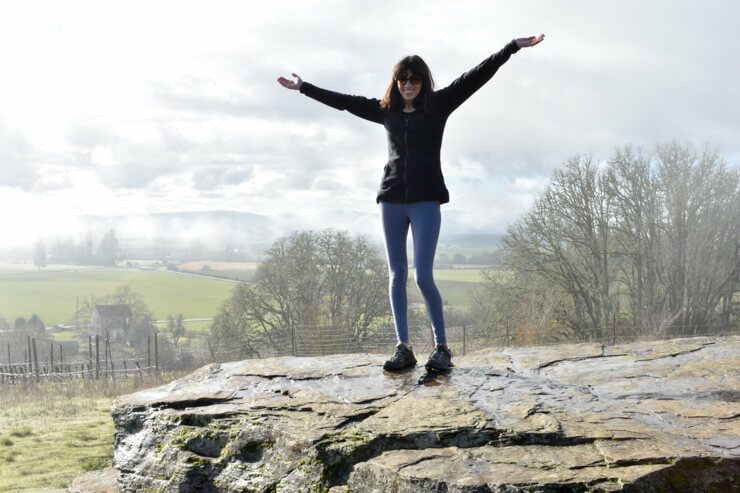 Another good reason to choose wineries up to the north is you can do a short hike to the Erratic Rock State Natural Site after wine tasting. Hanging out on a big, ancient rock. This hike takes only about 20 minutes roundtrip and involves a hill, but is still a pretty easy hike and the view at the top is amazing. You’ll also be greeted by a 90-ton glacial erratic rock at the top. This rock is leftover from the Ice Age and was deposited here after a flood from Glacial Lake in Missoula, Montana. These “erratic” rock boulders were left all over Willamette Valley and this is the largest one in the area. Views and a geology lesson! How’s that for a great hike? After the hike you’ll probably be getting hungry so head back to McMinnville for dinner. 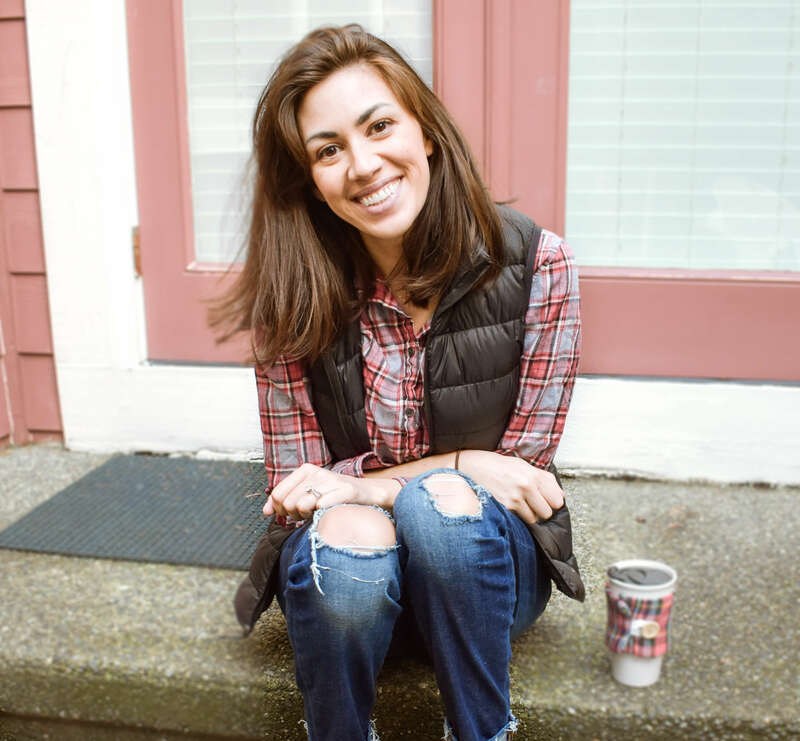 But first…what to pack for McMinnville? Wine Bags: Don’t risk them breaking in your car or in your suitcase! I have a couple bags like this and they are great to have on hand for wine trips. Water Bottle: If you’re doing wine tasting, make sure you’re drinking plenty of water. Lots of wineries have water dispensers where you can refill your bottle. 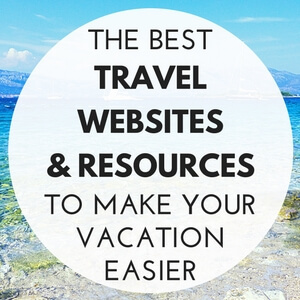 A collapsible one is great for traveling — very easy to pack. Raincoat: It’s the Pacific Northwest after all — always be ready for rain. I have this style and love it since it keeps me dry, but also looks stylish for classy things like…you know…wine tasting. Hunter Boots: My Portland-based friend told me I had to get these after I moved to the Pacific Northwest from San Diego, so if you are visiting McMinnville during the rainy season (which is basically anytime except the height of summer) then get some of these to feel fashionable while keeping your feet dry. I have this color and love them! This restaurant has some of the best Mexican cuisine in Oregon (at least that’s what I was told and after eating there, I believe it). 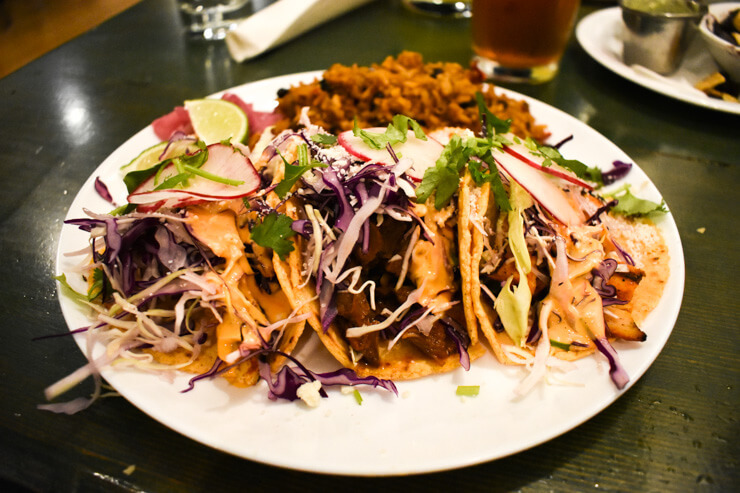 After living in San Diego for over a decade, I became a bit of a Mexican food snob and it is quite difficult to find great Mexican food in the Pacific Northwest. Pura Vida impressed. The taco plate had perfectly seasoned meat and was garnished with delicious salsa (not too spicy or tomatoey) and the perfect amount of cheese. 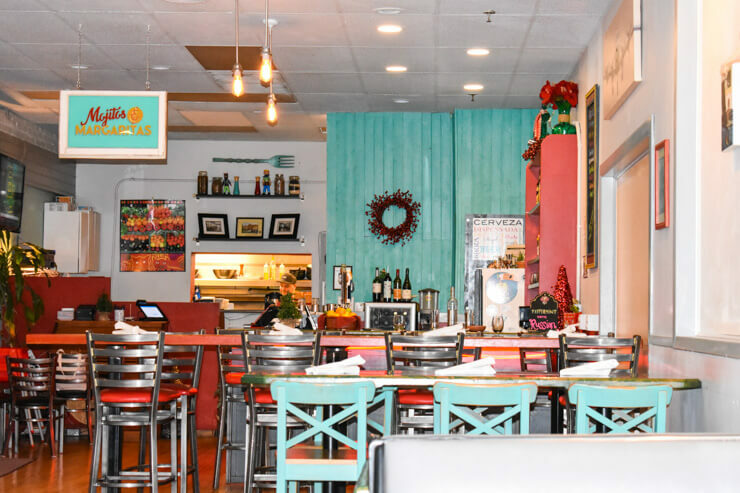 The interior is cool, too, with a bright teal accent wall and local artwork hung on the walls. Yummy tacos at Pura Vida. If we’d had one more night there we would have dined at Grain Station Brew Works since we heard great things about it. It’s more of a gastropub and is located in a renovated timber bar. 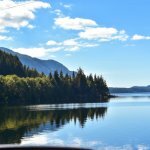 It also is known more for its beers on tap than a wine list so is a good option for those of you who are wanting to get a taste of Oregon’s famous beer scene while visiting. Wine Tasting After Dinner at one of the wine bars. After dinner, do some more wine tasting! There are a number of tasting rooms in downtown McMinnville. 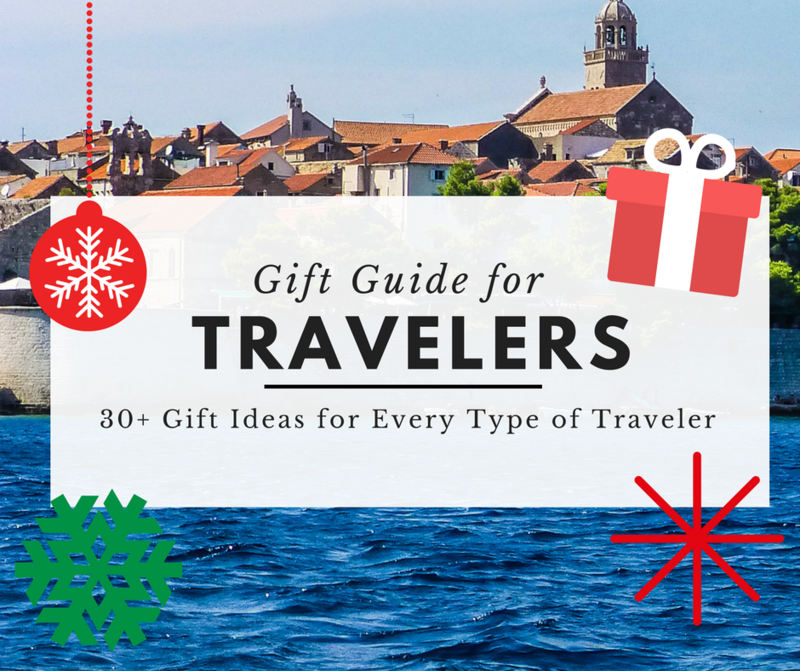 Make notes of which ones you want to visit later during your morning walk down 3rd Street or check out McMinnville’s Wine Walk and choose ones that sound most interesting to you. I really liked Terra Vina Tasting Room, which was conveniently located under 3rd Street Flats. 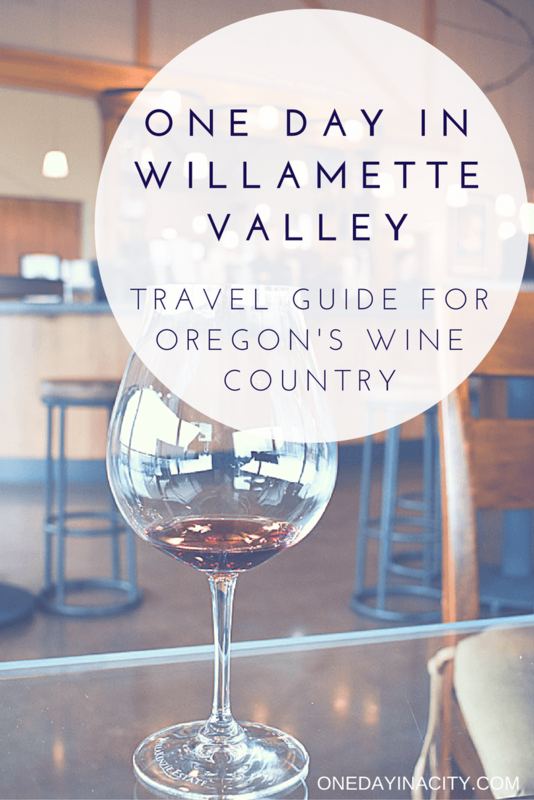 It was comfortable and relaxing to lounge at and also has a lot more wine to offer than just Pinot, so is a good place to head to if you’re getting a bit tired of only drinking Pinot Noir in Willamette Valley. 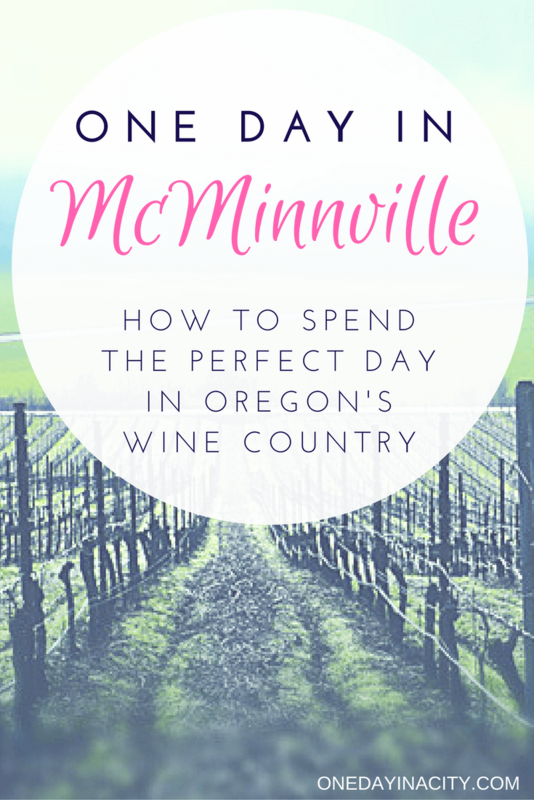 That wraps up my top tips of spending one day in and around McMinnville. Hope you enjoy your time in McMinnville and Oregon’s wine valley! I love the wine from this area! I don’t know why I haven’t visited. Thanks for the inspiration! When I think of Oregon I mostly think of Portland and the coast but it looks like I need to explore a bit further. I had no idea Oregon had a wine region! And this little town looks super cute. Wow this is such an informative post! I visited Willamette Valley in July and it was beautiful! I love Pinot Noir also. My family lives in Portland so I’m saving this post for when I return to visit them. It looks so quaint! I love wine regions! Oregon looks so beautiful. This post is making want to go now!!! I live in Washington state so I love and appreciate the PNW wine culture so much! I’ve never been wine tasting in Oregon though and it sounds like a blast! I’d love to pair it with some hot springs. If you’ve never been to Cougar hot springs, you should look into them. Amazing! Thanks for all the great recs, that little town looks like a perfect base! Thanks for the tip on the hot springs! Haven’t heard of them and will need to look into it now. And agree that PNW wine culture is great!